Lightroom Classic Tutorials > Troubleshooting > Why doesn’t my Lightroom version support my new camera? You buy a lovely new camera, the latest released, shoot some photos and excitedly connect your SD card to import your photos into Lightroom – and Lightroom says your raw files are an unsupported raw file type. Yet the file extension is the same as your old camera – what’s going on? Why doesn’t Lightroom support your new camera? Usually it’s because your version of Lightroom hasn’t been updated to support that camera yet. To check which cameras are supported by which versions of ACR / Lightroom, Adobe update this list each time there is a new release. If you’re on the subscription model, then it may be simply you need to update to the latest version of Lightroom. To update, go to Help menu > Updates or click the Update button in the CC app. You can also open the Creative Cloud app, click the … icon (top right) and select Check for Updates to give it a nudge. If you’re on the latest update, your camera still isn’t supported and it’s a new model, then Adobe needs to update ACR (Adobe Camera Raw). To do so, they need to get their hands on the new camera from the camera manufacturer. Adobe is usually quick to implement once they have received this, with updates being issued about every 2 months. In between times, you could always shoot in JPG until it’s available. 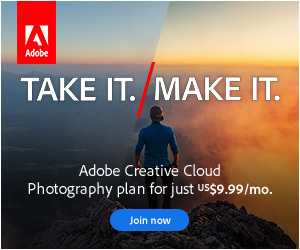 If you’re on a perpetual version (6.14 being the last one Adobe released) and your camera was released after your Lightroom version, it won’t be supported. Lightroom 6.14 was released on December 19, 2017. If that’s the case but you don’t wish to upgrade to a subscription version of Lightroom, you can use the latest version of the free DNG converter to convert the raw files to DNG format, which Lightroom 6.14 will be able to read and edit. This process is covered in Appendix A-11 in the Adobe Lightroom 6 – The Missing FAQ book. Alternatively, to keep updated with newer cameras, simply upgrade to a subscription version of Lightroom. For more frequently asked questions on Lightroom Classic, see my book Adobe Lightroom Classic – The Missing FAQ. For the Lightroom cloud-based ecosystem, see my book Adobe Lightroom – Edit Like a Pro.